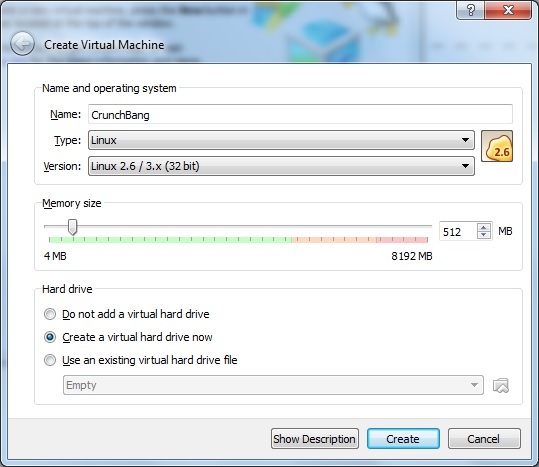 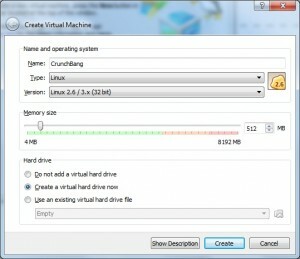 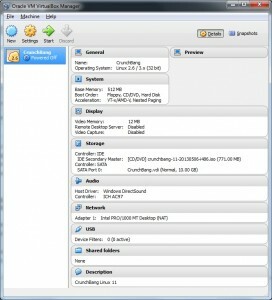 Here’s a direct link to the CrunchBang Linux torrent. 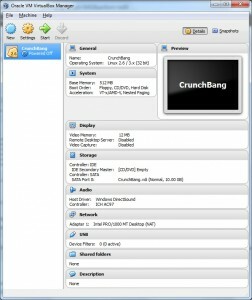 And here’s a direct download to the CrunchBang Linux ISO. 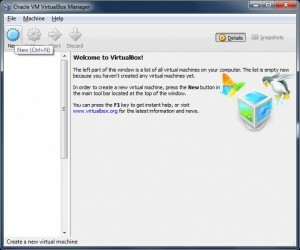 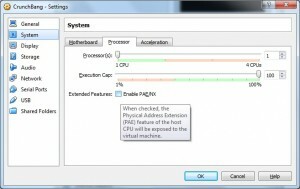 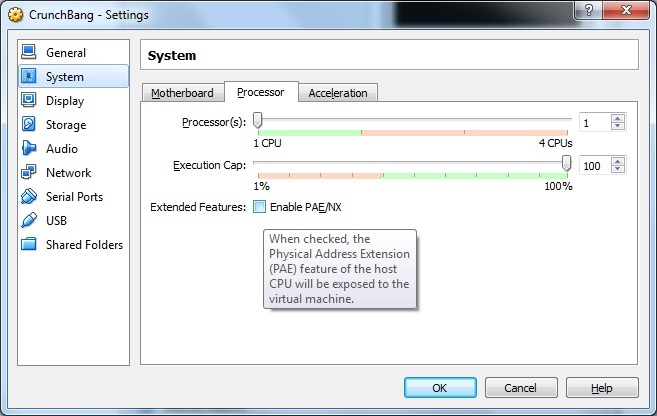 After installing VirtualBox (I recommend accepting defaults during install) fire it up and then browse to and double-click on the Extension Pack downloaded earlier to install it. 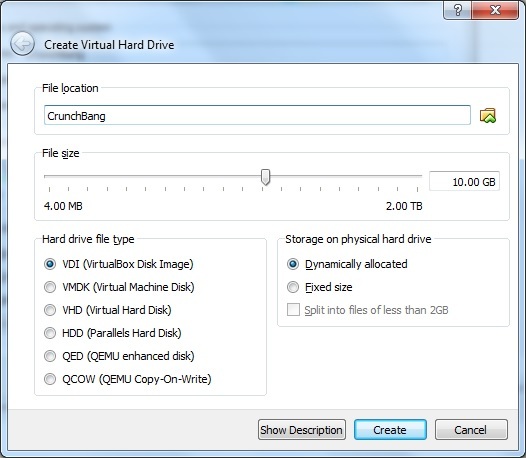 Browse to and select the ISO file that you downloaded earlier and click OK.
Notice under Storage it shows the mounted CrunchBang ISO that was downloaded earlier. 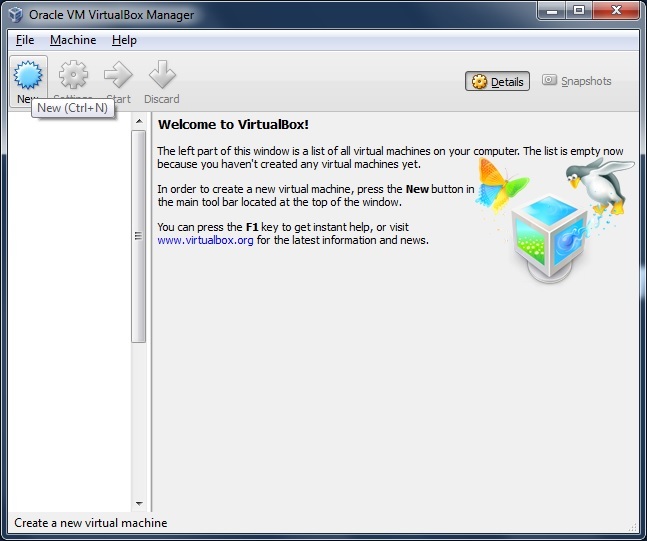 Now that our virtual machine hardware is set up, let’s start it up and get the OS installed.